And that is 10,000 THANK YOUS to all who log on. In all of my ministry I have never seen any thing as urgent as reaching the lost for Christ. Perhaps I’m just wired that way. It might be one of the reasons God called me into the ministry; knowing my concern. Maybe I’m just convinced of the scriptural mandate to reach the lost. Or maybe I identify with the lost because I used to be lost myself! Whatever the case, that’s who I am. I don’t have time to argue with people from other churches over ministry styles. I will not engage myself in the debate of emergent vrs. emerging churches - (If you don’t know what that’s about, do yourself a favor and don’t bother to learn. It’s DOPEY). I’m not interested in debating contemporary vrs. traditional. And (as I have mentioned before) I’m not going to sit around in little circles to have theological discussions about missional vrs.attractional churches (blah, blah, blah). Others can pontificate like that if they choose – but not me. I’m actually DOING something rather than have do-nothing discussions ABOUT it. PCC…. We are called to reach people for Jesus Christ. We will ALWAYS be a church where you can bring your friends and family who are far from God… And they will hear the gospel in a way they can understand, while you (as a growing believer) will be fed and nurtured. We will continue to do church the way God has called us to do… and people who do not like it can scream all they want… and we will keep ignoring them… and we will continue to reach new people…. and will continue to grow! We will always preach the gospel of Jesus Christ, not the in the wisdom of mans words, but in power, and demonstration of the Holy Ghost. We will worship with passion. We will do church in an excellent and creative manner. We will be baptizing hundreds of people this year. God is using our church in ways that I never imagined. I wish I could articulate every story of life-change. But there are simply too many. Trust me, God is using the ministry of PCC to accomplish great things. You can see it everywhere. I have come a long, long way in my spiritual journey since I started attending this church………. I had been through a 5 year period in my life that turned my world upside down and inside out. I was angry with God, and drew away from Him. But, He was carrying me through it all, and has renewed in me a great excitement for His mercy, love and grace. I am growing spiritually day by day, and continually praying for His guidance in my life. I know God has a good plan for my life, and that my spiritual journey has only just begun. It’s Friday, 6:15 PM. I’m at home in my easy chair reflecting on my work week and the people in our church family. I’ve got to say – we have some amazing people at this church! This past week I have heard some heart-warming stories of life-change; how people discovered our church, started attending, found Christ, and now serve with gladness. The common refrain in all of them is how PCC was so instrumental in saving their lives. This is very humbling to me. The church offices have been a bee-hive of activity this week too. So many volunteers with time off from work, or who are free in the day time, came by to simply help out or either were working on some other project. A lot of noise was in the hallways, people walking in-and-out of the offices, lots of laughter, and a whole lot of work getting done. We ate lunch together. Hats off to our housekeeping team who diligently and faithfully cleans the restrooms, atrium, and kitchen in preparation for Sunday hospitality. Thank you to the lady who comes each week and vacuums the carpet, which takes hours! Much appreciation to the ladies who prepare the bulletins each Friday. Thank you to the man who mows our campus grounds bi-weekly, adding beauty to our campus. Thank you to every single person who faithfully serves the Lord by serving in your church. There’s too many of you to mention! One of the reasons I’m having so much fun in ministry these days is because God has filled our church with the right people at just the right time! I am surrounded by people who are not a drain. Highly motivated. Amazing character. Pleasant to be with. No hidden agenda. Not jockying for a postion. Not interested in a title. Are happy to work from behind the scenes. Just want to take more ground for Jesus and advance the kingdom. Yea, I was made for this. The Bible talks more about UNITY of the church than it does about either heaven or hell. It’s really THAT IMPORTANT. I have a conviction. One of my roles as a senior pastor is to always keep an eye open for potential divisiveness within a church family. As a pastor I must teach God’s Word, I must pray, I must be an example, and I must shepherd God’s sheep. Yet I must also do those things with an eye towards developing unity and confronting disunity. It’s kind of like PREVENTATIVE HEALTH CARE. Most of us go through life without giving much regard to our health and we neglect our bodies. We eat bad food and drink gallons of poisoned beverages filled chemicals you can’t even pronounce. Then one day we hear the bad news: we are told we have clogged arteries or a cancer growing within us. CHURCHES ARE LIKE THAT. We adopt certain habits, deny the warning signs, and then are surprised when a certain part of the body attempts a coup d’état. GROWING NUMBERS OF CLIQUES and FACTIONS. Cliques present themselves as "natural friendship" groups of people who "get along" because of some shared interests, backgrounds, or ideas. But without supervision and oversight these groups will harden into impenetrable factions that use their common interests as a rallying cry against the rest of the body. They are unhealthy groups - very unhealthy - and should be avoided. SELF-INTERESTS DOMINATE GROUP INTERESTS. Certain individuals or cliques make it all about themselves, their ministry area, or their little corner of the church with little regard as to how it affects the bigger picture, or the mission of the church. They want to be told “yes” all the time and cannot handle being told “no” – not even once. They want their way and could care less whether or not other people in the church family will get their way. Tell these people “no” just one time and the rebellion begins. Say “yes” to them 100 times over a period of years and “no” just once, and the plot for a coup d’état begins. They are reluctant to share floor space, classrooms, the building, and expect the church's financial resources to be diverted to their cause first. They are also the most likely people to engage in turf-wars (turf-ism). LOW CONCERN FOR THE BODY AS A WHOLE. A manifestation of this symptom is a deliberate intent to harm church leaders or other members in the body; and to do so with malice of forethought. This is a crime and sin of such proportion that the guilty party cannot even see the wickedness of his evil deeds. He is deceived by his own delusions. We must never forget this one truth - HOW WE TREAT EACH OTHER is how we are TREATING CHRIST. “He that DESPISES, does not despise man, BUT GOD, who has also given us His Holy Spirit” (I Thessalonians 4:8). Jesus said, “In as much as you have done it unto one of the least of these MY BRETHREN, you have done it UNTO ME” (Matthew 25:40). "In as much as you did it NOT to one of the least of these my brethren, ye DID IT NOT unto Me" (v.45). (i.e., show concern). When we have a low concern for the rest of the body, God takes it personally as a sin against Himself. When you despise another believer God takes that personally too. Yikes! ISOLATED & ABSENT MEMBERS. Some members begin to isolate themselves from the body, from church services, and from the pastor. These isolated and absentee members actually undermine the very fabric of the church, it’s fellowship, and relationships within the body. They are loosely connected to the church while at the same time are absent from the main life of the body. They hang around in the hallways and don’t attend service. They volunteer to serve but skip church. They teach classes but neglect corporate worship. They attend ministry events on week-nights and consider it as a substitute for church. These are the very people who grow unhappy the quickest and end up in factions. POLARIZATION OVER PERSONALITIES. Sometimes people will feel a certain kinship or affinity with certain church leaders more than with others. This is probably normal and natural. But when a church family becomes polarized over personalities and chose to become followers of men, you can be sure that a certain number of them have taken their eyes off the TRUE HEAD of the CHURCH – Jesus Christ Himself! This was the problem at Corinth. Some said, “I am of Apollos” others said, “I am with Paul.” Still others said, “I am in the camp with Cephas.” Paul rebuked them by asking, “Is Christ divided? Was Paul crucified for you? Were you baptized in the name of Paul? NO!” (I Corinthians 1:11-14). These are some of the early warning signs that something is unhealthy in the body of Christ in a local church. Undetectable at the start, these symptoms grow very slowly. By the time you begin to feel discomfort from them, they are deeply rooted. Like a cancer they will have their tentacles already wrapped around vital organs, extinguishing life. Cutting them out will be painful and costly. I'm convinced that it's my job to pastor and lead a church in such a way that I try to ward off, retard, uproot or cut out these problems before they give birth to greater sin. I need to approach the basic task of pastoring with at least ONE EYE TOWARD PREVENTION. I also need to look beyond the horizon of this present congregation to consider those who are coming after us, to take the long view with the hopes of leaving a congregation that would be healthy for years to come should the Lord delay His coming. Sooner or later even the best of churches encounter problem people. In fact, ALL churches do. That’s because churches are made up of imperfect people and the people who lead them are imperfect too. Nevertheless, some people DELIBERATELY CAUSE problems and when it arises must be dealt with. Effective leaders know that too much is at stake to allow anyone to get the church off its mission by causing disruption and disunity. 1. We never allow a problem person to have any room or authority. Once it is apparent they are a liability to family-harmony we move in quickly for a difficult conversation. In fact, we RUN TOWARDS confrontation – never away from it (using Matthew 18:15-18 as a model). 2. We follow Titus 3:10 which tells us to warn such a person once, and then twice. If they refuse to change after two warnings they are asked to leave. Churches can be held hostage by one or two bullies or controllers who are opposed to the church doing anything without their permission. These persons get their sense of self-worth by keeping the church so intimidated, either by their actions or their money, that very little can happen without their approval. The sad thing is most church leaders know that these persons are a “stumbling block” to the rest of the flock but they won’t do anything about it. They don’t confront the bully because they think being passive is the “Christian thing to do.” Nothing could be further from the truth. The body of Christ cannot survive with division in its midst, so they must be dealt with. 3. We follow the example of Jesus Christ. Who can forget that fateful day when Jesus drove the money-changers out of the temple? In a holy rage He entered the temple with a whip and drove them out (Matthew 21:12). That wasn’t very nice, but it was very Christ-like. People who would rather be nice than Christ-like do not understand Christian leadership. Church leaders care so much about their ability to reach more people for Christ, that they will not allow anyone to stifle their ability to do so. Since pastors tend to impress upon their congregations something of their own personalities, their strengths and weaknesses, for good and for ill, I realize that I need to work hard at BEING AN EXAMPLE that LOVES LIKE JESUS LOVES, and PURSUES PEACE and UNITY like Jesus did. I give you my pledge that I will do my very best at trying to accomplish both. Take charge and correct problems in your environment when you BEGIN to see them so they won’t spread and get larger. For example, when you IGNORE bad behavior (in your dog, your children, friends, employees, or anyone for that matter) you are CONDONING that behavior. We give people permission how to treat us - either by the things we say or fail to say to them. If someone mistreats and you don’t say anything to them about it, you have just given them permission to do it again. Don’t blame them for their meanness, blame yourself. You are allowing them to treat you that way. This explains why some church people act so mean – i.e., it’s because some church in their past GROOMED THEM to BEHAVE THAT WAY by allowing them to get away with murder. CONFLICT IS INEVITABLE. Pastors probably have to deal with it more often than other leaders. We are leading hundreds of different people with different personalities, all of whom have different opinions and views. Fireworks are sure to follow. Some leaders are so afraid of conflict they will let problem people hang around far too long causing even more trouble. When I hear of an issue that needs to be addressed, I waste no time going to the person and dealing with the matter. By confronting the issue quickly, I have taken control of the situation rather than allowing the person with bad behavior be in control. This keeps PCC healthy and harmonious. Bad behavior is UNACCEPTABLE at ANY LEVEL. The reason it runs so rampant in churches is because we church-people like to take (what we erroneously call) the “high road” by avoiding conflict and simply allow things to slide. Rather than going away, this perpetuates the problem and strengthens the bully. “If your brother offends you GO TO HIM ALONE” – which means to CONFRONT the person about their behavior, and to do so privately. Next Jesus said, “If He doesn’t hear you go back with WITNESSES – in other words, TAKE IT UP A NOTCH and incease the pressure. Finally, if the offending person still refuses to listen, “TELL IT TO THE CHURCH” – which means it is time to GO PUBLIC and expose the person for what they are! This ISN’T EASY, but it is BIBLICAL. At PCC we do almost everything together. We meet together. We eat together. We play together. We pray together. We work together. And we DO LIFE together. One key component of a successful ministry team is CHEMISTRY, or AFFINITY, among the team members. By this I mean BEING ABLE TO GET ALONG and ACTUALLY LIKING each other. I’m talking about ANY type of team – volunteers who work together in a ministry area, small groups, staff, whatever. People have to share a passion for a common cause, must enjoy working together, are able to get along, and genuinely like each other. Without chemistry sparks are sure to fly, bogging the team down in conflict rather than mission. When we are looking to add someone to a ministry team or leadership role, we are not only looking for a Christ-follower who can do the job – we are looking for someone with WHOM WE WANT TO SHARE LIFE WITH. We want fun people. We want enjoyable people. This person may be a walking storehouse of Biblical knowledge, but if they give off creepy vibes we don’t want them – they are too difficult to work with. We want people who are creative and encouraging. We are looking for positive types; people who love to encourage and bring out the best in us and each other. We are looking for people who are more inclined to show grace than criticism. When speaking about chemistry I’m saying there has to be a RELATIONAL FIT – not only with the team leader, but with the other members of the team as well. 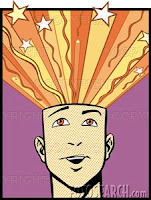 This is the type of person who has a POSITIVE EMOTIONAL EFFECT upon you the moment they walk into the room. I fully believe in this concept of chemistry. Why? Because so much of my time (except when preparing sermons for Sunday) is spent in a team (group) environment. Nearly every moment of my working day I’m sitting around a table with staff members, volunteer leaders, department heads, volunteer workers, the programming team, tech team, management team, or in a small group. For hundreds of hours each year, I sit in small circles with other people working out kingdom challenges. Spending that much time with people means there BETTER BE a RELATIONAL FIT for me. Otherwise, bad things will happen. I don’t know how to say this diplomatically, so I’ll just say it straight – If there are two candidates that have equal character and skills, I’ll give the nod to the person whose personality and temperament BLENDS WELL with the other team members and myself. I admit this without apology. One of the reasons I am having so much fun doing ministry these days is because I am surrounded by people who are NOT A DRAIN on me, rather they edify me. The people at PCC, especially our volunteer teams, are people who have sky-high character, exceptional skills, and a “can do” attitude. They are FUN to be around. A lot of churches go into cruise-control during the summer months. But at PCC we are going to KICK IT into OVERDRIVE! Summer is a great time of year to do recreational stuff and ease up on the Great Commission. But as long as people are lost and going to hell, we refuse to slack up. There will be more events added to the calendar as our summer plans continue to develop. 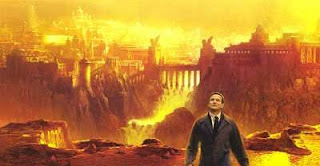 And we'll also have a couple of SUMMER SIZZLER SERMON SERIES to keep things RED HOT. Usually the best staff members come from WITHIN a congregation. In the history of Pace Community Church ALL (but one) of our hired staff has come from within our congregation – (what you might call farm grown). When we realize a certain job is going to require a paid staff position, we look at WHO is ALREADY doing the job as a volunteer. Then we find the funds necessary to pay this person so they may be released from their secular job and enter employment in the ministry. That’s how it works. WHY HIRE FROM THE MEMBERSHIP? By hiring members we already know they are FINANCIAL SUPPORTERS of their church. We know they have BEEN ACTIVE in the church. We know they SUPPORT THEIR CHURCH and WORK WELL in our unique environment. We’ve had time to OBSERVE THEIR TALENTS and know they are CAPABLE. We know they are LOYAL. We know they are already EMOTIONALLY COMMITTED to the church, and they are not planning to go anywhere. We know their RELATIONSHIP SKILLS that they get along well with others. We’ve had time to see how they RESPOND UNDER PRESSURE. We already know their STRENGTHS and WEAKNESSES. We know they LOVE our MISSION and VISION. They are FAMILIAR with our CULTURE. We know they are already RESPECTED by other volunteers. We know they have CHEMISTRY and are enjoyable to be with. Most importantly, we know they have a HEART FOR GOD. Furthermore, lay people who are hired from within ARE NOT EXPECTING TO BE OFFERED A JOB; they know it’s a GOD THING from the beginning and serve accordingly. We hire for HEART and CHARACTER first – for SKILLS and EXPERIENCE second. Here’s why: We can always teach this person skills and allow them to gain experience. But we cannot easily change their character. If they are contrary and disagreeable as a volunteer, they will be the same on the ministry staff. Can’t have that. Most churches look only at the skills, experience, and education of a prospective staff member that he/she lists on the resume. That’s risky because you could have some big surprises six months later. A persons true DNA eventually surfaces. Bad volunteers make worse staff members. At PCC we don’t think that it is necessary for all staff members to have been formally trained in seminary. Just because someone has had a few courses on Greek doesn’t quality them for godly leadership. We are not unusually interested in some hot-shot fresh out of seminary either. We know such a person will NOT stay with us for the long haul. Being his first position, and having no other experience for comparison, he will always be looking for greener pastures elsewhere. 1. Are they TEACHABLE? Staff members have to be continuously growing – professionally, spiritually, and Biblically. The day you think you have arrived is the day your clock has stopped. Staff members have to be willing to put the best interest of the church over their own iterests. 2. Are they FLEXIBLE? People who have the right kind of heart are flexible. At PCC we change a lot. From week-to-week, from month-to-month, from year-to-year, we change. Our staff understand that what they are doing today they may not be doing next year. They realize that if we launch a new initiative this year, it doesn’t mean it’s going to be allowed to continue the same next year. As our church grows and expands, so will policies, procedures, and positions. We manke one person’s job, split it in two and let someone else take up the slack. Or we may add a second or third responsibility to a person’s current responsibility. Our staff have to understand they will not always get their way. Flexibility is essential. 3. Are they LOYAL? In fact, loyalty is the most important of these three. The staff must function in an atmosphere of trust, knowing that their colleagues will take care of each and stick up for each other. Nothing will destroy the morale of church staff faster than backbiting or backstabbing. Our future staff members already attend our church. = Attendance was off (20% drop) – A lot of military families were out traveling home. = The band did an amazing job. Even though two musicians were out (the drummer and lead guitarist) our replacement drummer filled the gap in a most excellent manner. We reached back and pulled out a couple of older songs and it felt good doing them again. There was spontaneous worship all through the house – people standing, lifting their hands, and crying. Very visible expressions. Simply amazing. = Financial giving was good too. Almost a record-day in spite of the lower attendance. Also, another $2000.00 (plus) came in (above our regular tithes/offerings) for the sanctuary lights. This project is almost paid for and we haven’t even received an offering for it. Whow! = Today’s message was on Lazarus & the Rich Man – “Out of Body Experiences.” I can tell you God was doing something in the service today. Everyone was totally riveted on the message. A couple of ushers told me it was the best they’ve ever heard. Another lady (who I had never met before) came to me after service and said, “God used that message today to change lives, pastor.” Another lady stated that she felt God was moving in a different way. At least six other people came to me with similar comments. = Listen, when people are getting saved, worshipping God without shame, giving so good that it is almost setting records – YOU KNOW SOMETHING IS UP. We are IN A NEW SEASON at PCC and IT FEELS GOOD. = I am proud of our children’s workers who did such an amazing job in Cathy’s absence (i.e., our children’s ministry director). These people know how to get the job done. They step up and deal with it! = Definitely a different style of message today. I thing people responded well. = Loved seeing all the new faces today. = It’s great to belong to a church that is ACTUALLY drawing NEW PEOPLE into its church services. = I’m glad we are not a “BOUTIQUE CHURCH.” You know what I mean – one that attracts only a small segment of pre-packaged, already-perfected believers who have a corner on the kingdom. At PCC we have believers, unbelievers, mature believers, and immature believers. It’s messy. But it also fits the Biblical pattern of what a New Testament church is supposed to look like. I’ll take PCC over a “boutique church” any day! = The tech team in the sound booth has got it going on! = I am proud of our ministry leaders, department heads, and staff. = Our congregation is amazing too. You show up week after week, packing the house, and listen to me…. Then you give. This humbles me. I know there has to be something going on besides me – it has to be a GOD THING. = Time to sign off. I’m going to cut the grass and get the yard ready for grilling hamburgers tomorrow. We always look for loyal people as the ones who will be selected for ministry positions at PCC. Whether that be an usher, small group leader, paid staff member, teacher, greeter, housekeeping, money counter, coffee server, or bulletin stuffer, we look for loyalty! Our church cannot grow and fulfill its mission if our team members are not loyal to the vision, our church leaders, and to each other. Disunity is the fruit of disloyalty and we nip it in the bud as soon as it is discovered. We do not allow our vision (from God) to get hijacked – by anyone. If we are not diligent about protecting the vision, we would wake up one day and not even recognize the ministry we have allowed to be created (by another). You can’t lead by taking a vote on every issue. You can’t lead by entertaining every idea that surfaces. Being a leader means making decisions and then taking responsibility for them whether they succeed or fail. What is loyalty? Loyalty means faithfulness or devotion to a person or to a cause. Using Biblical language, it means faithfulness. What does a loyal staff member look like? A loyal staff member is a person who will stand up for the vision of our church or will stand up for me (or any other staff member) when someone is slamming the vision, criticizing the leaders, or sowing discord among the brethren. They will take the arrows, absorb the heat, and are willing to be criticized for the sake of others. When I see someone who does not talk out of both sides of their mouth, who says the same thing out in the open as they say behind a closed door, then I know I’m looking at a loyal person. On the other hand, when someone talks about another, their church, or their church leaders in a critical behind-the-back manner, I have just identified a disloyal person. Let me be clear, that is an action that will not get you the answer you are looking for. When I go to the dentist, I am free to ask any questions that I would like to ask. I am free to express an opinion if I choose to do so. But at some point I have to be willing to TRUST the dentist to do his work on my teeth. He is the trained expert. He knows more about it than I do. He has years of accumulated experience. If I don’t like his work I am always free to find another dentist. Likewise in a church, at the end of the day, I have to trust my leaders. And if I do, even though I don’t always understand, I will be faithful and loyal. I will not smear them. When I find loyal people, we empower them, authorize them, and whenever possible, HIRE them! Nothing energizes me more than when I walk into a room that is full of people that I know are loyal to me and to each other. This is empowering, energizing, edifying, and uplifting. It fuels creativity and innovation. “As iron sharpens iron, so one man sharpens another” (PROVERBS 27:17). Sometimes new people will show up at PCC having come from another church who have a chip on their shoulder. When I talk to them they start slandering their last church and its pastor, believing they can ingratiate themselves to me by this malicious talk. After I bluntly cut them off I run for the hills because I know that if they will talk about their former leaders behind their back, they will eventually do so about me. Talk bad or viciously about someone and let me hear about it, and I can assure you that person will NEVER be in any position at PCC. Let me give you a for-instance: After we had moved into our new building and had been here about three months, it came to my attention that one of our door greeters was bad-mouthing our church to our guests! Yes, you read it right – TO OUR GUESTS! This was a person who had been through our membership class, understood our mission, vision, statements, strategy, and structure. This person had signed our membership covenant. They were selected to serve in a ministry position at the front doors - and rather than protecting our church was actually DOGGING the church. This was DISLOYALTY in the first-degree! One of our first-time guests brought it to my attention. That door-greeter DOES NOT serve here any longer. No discussion. Loyal people do not have a hidden agenda. They don’t have an agenda of their own. They’re on the team by virtue of being loyal to an agenda OTHER THAN THEMSELVES. They are faithful. Fortunately for us disloyalty has only been a minuscule issue at PCC – partly because we deal with it so decisively when first detected and because we have such a positive and upbeat environment here. And in the few times we’ve had to make the painful decision about releasing a disloyal person, we’ve witnessed GOD PROSPER US and MOVE US FORWARD. Happens every time. The upside of loyalty and trust is that it BUILDS a DEEP VISION. Churches get deep when there is unity. A God-honoring, Christ-exalting mission and vision being carried out by loving, cooperative, and loyal people is the kind of behavior that gets beneath the surface. Shallow people squabble about minor issues. Another benefit is WE CAN GET THINGS ACCOMPLISHED because we are not having to spend our time and emotional energy putting out brush fires all the time. Another advantage of loyalty is we build TEAMS of people who possess a “CAN DO” attitude. When faced with a challenge or problems associated with a new initiative, “can do people” rise to the occasion and overcome. Loyalty MAXIMIZES TIME and INCREASES PRODUCTIVITY. Think of the time wasted doing damage control because of some disloyal person. Life is too short for that. With a loyal team, if we decide to add a second service or go to three services, WE ARE OFF AND RUNNING without a bunch of junk to deal with. We don’t have to waste valuable time trying to get people “on board” before we launch. We can plan an initative and then simply pull the trigger. Loyalty GIVES ME PEACE OF MIND. I can sleep at night. Loyalty BUILDS FRIENDSHIP – we actually like each other. Loyalty is a WITNESS to the world. Did not post yesterday – had a very busy day - 14 hours. Attended two small groups – love those guys. CORE Classes are beginning to shape up – teachers have been chosen, curriculum has been selected, and the starting date established. Now we are working on the details. Will keep you updated. June will be busy and exciting – DadFest, Vacation Bible School, and Water Baptism. CORE Classes begin in July. 101 will be offered in July. 201 will be offered in August. Fall Semester for small groups begins in August or September. It seems like every time I go into town someone will walk up to me who recognizes me but I don’t recognize them. Happens all the time. Has happened four times this week. It’s pretty freaky to always be in someone’s headlights. There are some amazing people at PCC. I will return to the “Excellence in Ministry” series later today or first thing tomorrow morning. Colossians 3:23 (KJV) What WHATSOEVER YE DO, do it HEARTILY, as TO THE LORD, and not unto men. I Corinthians 10:31 (KJV) Whether therefore ye eat, or drink, or WHATSOEVER YE DO, do all FOR THE GLORY OF GOD. As you read the scriptures you get the idea that “good enough” is NOT good enough when it comes to honoring God. When Solomon was building the first temple, when Nehemiah was rebuilding the wall around Jerusalem, or when Ezra was rebuilding the temple, their desire to give God their best fueled a spirit of excellence. Even when the average person brought their sheep to be sacrificed, only the best was to be used. Anything inferior was rejected. In response to His holiness and greatness, our attitude towards God should be to pay tribute to Him with the best we can offer. I’m not talking about performance-based perfectionism, but rather an attitude of excellence that permeates all we do in church and in our personal lives. After all, what we do as Christians reflects on the Christ we serve. We at PCC have “institutionalized” this Biblical precedent as a church-value to live by. We strive to do our best in ministry and pass this value along to all our staff, volunteers, workers, and attenders. Yesterday we looked at the Children's Ministy of PCC. Tune in tomorrow as we profile another ministry in our church that exemplifies this standard of excellence. At PCC we have a limited number of ministries BY DESIGN – because we have come to realize that it is better to accomplish a few ministries with excellence rather than offering a full menu of ministries done poorly. This week I want to talk about the ministries of PCC and having the right attitude while serving. It’s important that everyone in the PCC family reaffirm their commitments to a standard of excellence. We are only as strong as the level of commitments we maintain. We have one of the best children’s ministries in the entire area. Go to any church in a two-county area and you will discover that ours rates as one of the best. This is a direct reflection of the exceptional leadership provided by Cathy Denny and her entire team. Without a doubt, PCC would not be where it is today without this vital ministry having been carried out in such an excellent manner. Regarding cleanliness, we believe it is next to godliness. We clean, re-clean, disinfect, repaint walls, mop, sweep, and then do it all over again. We like our rooms to smell fresh. No diaper odors - stuff like that. The children’s ministry team uses top-rated curriculum and keeps themselves abreast of current trends, while at the same time remaining absolutely faithful to the truths of God’s unchanging Word. We believe our children are worth it. We also believe that having a GOOD ATTITUDE while serving it absolutely essential for all our workers. If a worker DOES NOT SHOW UP ON TIME with a smile and willingness to do “whatever it takes” or COMPLAINS, or DEMORALIZES the rest of the team, they are confronted. If a negative attitude continues, we actually release that volunteer from serving – (you may want to read that last line again). Yes, we actually release people if they are contrary and don’t behave Christ-like. Why do we strive for this standard of excellence in our children’s ministry? Because a standard of excellence in all we do HONORS GOD and INSPIRES PEOPLE – plus, OUR KIDS ARE WORTH IT! Hats off to the Children's Ministry Team of PCC for a JOB WELL-DONE ---- YOU GUYS ROCK! --Attendance was good – 499. --Our church sign has been ordered. A total of $6,900.00 was received (for a new highway sign) above and beyond our regular tithes and offerings. --Today one person gave $4,250.00 towards additional lights in the sanctuary – AND WE DIDN’T EVEN ASK FOR IT! Whow! This will go a long way to help us BRIGHTEN the room. --I like going to Starbucks – I meet unchurched people there and have some pretty neat conversations. --The band was awesome today. Our violinist - exceptional. The sound system seemed to be in perfect order – the tech team has GOT IT TOGETHER! I think we were firing on all cylinders today. --A lot of people have signed up for baptism. --Baptism Sunday is June 29 – I’m believing God that we will baptize 100 people in a single day. --New message series began today – “Eternal Realities”- and we looked at the rich fool who built a bigger barn. Boy, was this message thought-provoking and probing. --Next Sunday – “Out of Body Experiences” – as we look at Lazarus and the rich man. --I’m very excited about what God is going to be doing this summer – we are going to grow. I love PCC – I know it sounds corny, but I actually do love leading this church. There some AMAZING PEOPLE in this church family. --I used to live for the devil in a major way. I guess that’s why I’m so passionate about Jesus Christ now. Anyone who has a classic, muscle, or antique car, motorcycles, custom motorcycles, hummers, big trucks, jeeps, and any other wheels that GUYS LIKE, bring them on Father’s Day for PCC’s very first DadFest. It’s going to be a great day. More information to come in the weeks ahead. 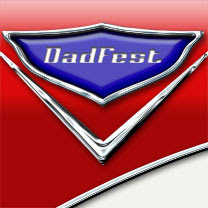 DadFest - it's like a Dad Magnet. What happens after we die? At some point everyone wonders what happens after our life on earth is finished. The message series will answer many of those questions by offering Biblical insights into eternal realities. What does a healthy church look like? One mark of a healthy church is the ABILITY to REPRODUCE new CONVERTS. In any realm of existence, whether in the plant world or the animal world, or in the human race, a clear mark of being healthy is the ability to reproduce offspring. Sick animals generally do not reproduce well. Diseased plants do not reproduce well. Wherever you see health and fertility you also see NEW LIFE, BABIES, and OFFSRPING. Healthy churches desire to see reproduction. Healthy, mature believers tolerate juvenile behavior (from spiritual babies) while training their progeny for growth. Healthy churches actually have immature people all over the place because they have the ability to REPRODUCE. If you are looking for a church where there are no new believers (babes on milk) and everyone there already serves and tithes – you’re not looking for a healthy church - you are looking for a DYING CHURCH. Dying churches DO NOT have the ABILITY to REPRODUCE because they are spiritually IMPOTENT. They are infertile. They are slowly dying. And if they do somehow cling to life it is accomplished only by TRANSFER GROWTH from other churches – that is, they are on “LIFE SUPPORT" from other churches. Need I point out that this kind of existance is unnatural? Dying churches cling to life ONLY through artifical, external sources. They lack "life within." There are few things more DISTURBING than a congregation of adult believers standing around COMPLAINING that no one has come to Christ while, at the same time, refusing to do something that might actually result in new life. So when you come to PCC and you see someone who acts like a “babe” in the Lord, don't complain and don't be surprised. Instead, thank God the mature believers in our church family are busy delivering newborn babies into the family of God. These (and other) reasons add up to a 20-25% loss each year. This means if a church wants to maintain its current attendance it has to have that many people coming in through the front door and STAYING – just to maintain. And if a church wants to GROW it has to have that many people and MORE coming through the font doors. You get the idea. LACK OF VISION - When the leader has no vision it is IMPOSSIBLE to CALL PEOPLE to RADICAL SACRIFICE for a worthy goal. No one offers talent, time, energy, and support without good reason to do so. The vision, connected to a God-honoring purpose, is the reason. Where there is no vision people won’t align their resources and collaborate. Confusion is a barrier to growth; clarity brings focus and ministry intensity, and that yields a great reward. WEAK LEADERSHIP - When a church leader (or pastor) believes he can’t launch a new initiative because someone might become angry, they betray the mission. Our church is surrounded by people who are lost without Christ and headed for an eternity without God and it is paramount that PCC stay on-mission. The pastor who won’t lead a congregation through a process of introducing a new song or a new teaching method (to reach new people) because some person in the third row is likely to complain has MISTAKEN his WEAKNESS for KINDNESS. He has just abdicated his authority to a whiner. In contrast, the kind thing to do is to offer Christ to the masses. The weak thing to do is to defer to a few critics and, in so doing, condemn their neighbors to an eternity without Christ. CONFUSED LEADERSHIP – The most common paradigm of a pastor’s role has been to pray, then get out of the way – while the heavy donors call the shots. This results in churches becoming little more than bureaucratic systems whose power-players concern themselves only with staying in office and protecting their turf. But when a local pastor takes seriously his vows to reach his community for Jesus Christ, growth becomes more likely. Let there be no confusion, the church exists to fulfill the Greatest Commandment and the Great Commission. Sunday – Mother’s Day. PACKED HOUSE! Had to bring out extra chairs. Lot’s of new faces, guests, and visitors. The Lord seemed to touch some hurting people today – especially parents. The band introduced a new song. Our violinist performed a solo during the offering. The children’s VBS worship team closed out service with four songs. One man was talking to me in the atrium. He choked up and tears filled his eyes as he told me how much PCC means to him and what God has done in his life. Has been attending with us about 1 ½ years. Gave his life to Christ. Active in a small group. Joined the ushers ministry. Started out as someone far from God – now serving Christ, growing, serving in ministry, and full of joy. These stories of life-change make it all worth it. A total of $6,800.00 came in (above and beyond our regular offerings) for the purchase of a new church sign. Yea God and thank you PCC! I am ABSOLUTELY ASTONISHED and the NUMBERS of NEW FAMILIES that our church CONTINUES to DRAW IN each week. Simply amazing. Another family stopped me in the atrium and asked if I would pray for the husband. He was sick. The entire family and I joined hands (all five of us) and prayed right there on the spot. The Holy Ghost manifested Himself and touched the man before he walked out the door. After the first service was over, almost no one left. The atrium was still full when people started arriving for the second service. Man, was there ever a BUZZ IN THE HOUSE today. Have I mentioned the NUMBERS of NEW FAMILIES that we CONTINUE to DRAW each week? Just finished a Saturday morning band practice in preparation for Mother's Day tomorrow. I've just got to say our BAND is AMAZING. Renae has selected a new song to introduce tomorrow. The singers are all in good (exceptional) voice, the musicians are on-target, the sound tech team is on-their-game, and EVERYONE is FIRING ON ALL CYLINDERS! “I met God in a meaningful way when the invitation was given." This is just a sample of the kinds of things I hear each week. Whenever you see lives being changed, resources being raised, encouraging testimonies being offered, and new families being added to a church on a weekly basis, YOU KNOW GOD IS DOING SOMETHING! “And grieve not the Holy Spirit of God, whereby ye are sealed unto the day of redemption. Let all bitterness, and wrath, and anger, and clamour, and evil speaking, be put away from among you, will all malice” (Ephesians 4:30-31). Look at the list closely. Most of these things are held INTERNALLY without others knowing what’s going on inside. Eventually, however, what is festering inside us is going to ERUPT, and these vile behaviors MAKE US OFFENSIVE to the HOLY SPIRIT and the PEOPLE around us. Bitterness – is like acid. It eats away at the vessel that contains it. Wrath – means revenge. It has a strong desire to get even. Anger – is rooted in the desire for power. It shows itself when we are denied something we think we deserve or are entitled to. Clamor – disruptiveness. To be noisy and disruptive. A person clamors to be heard when he/she feels left out or unnoticed. Evil Speaking – injuring another person’s good name, slandering, or uttering defamatory remarks. Malice – to be motivated by dislike or hatred. It is the ultimate in moral inferiority because it is the exact opposite of love. The Holy Spirit does not manifest Himself when and where such attitudes and behaviors exist. The Holy Spirit will not help you lie, gossip, misrepresent the truth, sow discord among the brethren, or seek revenge. He will not help you hurt another. He MANIFESTS Himself ONLY when we confess our sins, tell the truth, make restitution, and obtain forgiveness from those whom we have wronged. Walk in the Spirit today! It appears that word has gotten out about my blog and its reach now extends beyond our own community into several other states - other pastors and church planters are logging on to see what yours truly has to say. This is encouraging. Because of this, I will begin to post even more articles about church planting, leadership, pastoring, and ministry-related topics. To my PCC family - please BE ADVISED, some of this material will have a certain EDGE to its content. No, it's going to be brutally honest. Because pastoring and church planting is such a unique calling/vocation, we encounter issues that are not typical to the general population. Pastors talk about things among themselves you wouldn't believe. Of course, I will also continue to post personal information about myself and topics that are specific to PCC (such as insider news). Everything will be encouraging and uplifting. Some churches barely survive because they have no clear vision. They limp along Sunday after Sunday with no real sense of purpose. A church without a clearly defined mission/vision/purpose eventually becomes a MUSEUM of YESTERDAY’S TRADITIONS. Focused light has tremendous power. Diffused light has no power at all. For example, by focusing the power of the sun through a magnifying glass, you can set a leaf on fire. But you can’t set a leaf on fire if the same sunlight is unfocused. When light is concentrated at an ever higher level, like a laser beam, if can cut through a block of steel. We have a concentrated vision & mission at PCC. VISION HIJACKERS show up all the time. They want to have a say in what happens and how the church looks. They say, “The way we did it in my last church was…” But the problem is they left their old church for a reason – so I’m not going to allow them to turn us into that. My usual response is, “If it was working so well in your last church, then why did you leave?” Works every time. I’m not interested in PCC becoming a clone of another church. We are who we are. We don’t let anyone mess with our vision & mission. One of the problems that many churches get themselves into is MAJORING on the MINORS. They become distracted by good, but less important, agendas, crusades, and purposes. The energy of the church is diffused and dissipated. That’s why we MAJOR on the MAJORS. In other words, we keep the main thing the main thing. People want to join and be a part of a church that KNOWS WHERE IT IS GOING. When a church clearly communicates its direction, people are eager to become involved. We grow DEEPER through DISCIPLESHIP. We grow BROADER through MINISTRY. That’ why PCC is such a great church. One thing I didn’t realize when planting PCC (and being a real missionary in every sense of the word) was the number of times I would be faced with important decisions that required more wisdom, strength, and courage than I naturally possess. I’ve had to make decisions on meeting locations, staff, message series, vision, strategy, finances, personnel, and church discipline just to name a few. I’ve had to meet with bank officers, school board officials from two separate districts, county commissioners, businessmen, attorneys, and community leaders. I led PCC through a capital campaign to raise the funds for our building and watched a hurricane destroy the building two weeks after the super structure was erected. Then there was the matter of holding the church family together while we recovered from that setback. Every day it seemed like I was being faced with making a decision that could SINK the WHOLE DEAL. To complicate matters, this pressure NEVER stops. We are ten years into this work and still we are faced with overwhelming decisions on a weekly basis. Even to this day, we are faced with decisions that could sink the whole deal. This is the kind of life that gives you sweaty palms. It’s different than punching a time clock, putting in your forty hours, and drawing a guaranteed weekly paycheck. It’s the kind of life where one misstep can be catastrophic. It keeps you awake at night. You live it, breath it, drink it, and think it 24/7. You have to make decisions, see them through, and live with the consequences. This is not for the squeamish or faint-of-heart. The only way to succeed boils down to my confidence in God. Joshua (in the OT) is a leadership model for this. Joshua is the one who had the faith to trust God when others didn’t (Deut. 1 & Joshua 3). Joshua is a leader who stared fear in the eyes. Nothing can take the place of spending time alone with God. Unsure man becomes sure of himself when he is sure of God. 1. People who show up one time and act like they are God’s gift to the church, who sign up for everything on the list, and talk about how they are called into the ministry ARE THE ONES WHO WILL NOT LAST LONG. Happens every time. 2. People will not do what you EXPECT, they will do what you INSPECT. 3. Casting the vision over and over again is very important. Volunteers do volunteer work BECAUSE OF the VISION, not because they need something else in their schedule. 4. Small groups are hard work and need constant supervision. But when they are working right, almost nothing is greater. 5. I’m not afraid of losing people. While I don’t like to see people leave, I now realize that sometimes they need to – both for themselves and PCC. 6. The people who I work closest with must be people whose friendship I enjoy and who I can get along with. If I can’t get along with you or you with me, we’re not working together. 7. TRUST is absolutely essential for all staff, elders, trustees, officers, ministry leaders & directors, and small group leaders. Disloyalty in any form is cause for immediate removal – no questions asked. 8. CONFRONTATION is INEVITABLE. Church plants draw people who are looking to create a church that fits what they think church ought to be. Bad people will cause problems that will not end quickly. Key leaders will buck the vision and take others with them. Confronting these people is necessary to keep the church on track. 9. When we were smaller people would show up who had UNREALISTIC EXPECTATIONS about what our church was going to be like for them, what I would be like, and what my relationship with them would be like. But when they ran into the full force of our vision and the decisions necessary to accomplish it, they decided it was not their vision. They may have said “yes” to the vision when they first arrived, but deep down they never meant it. They said yes to GET CLOSE and on the INSIDE TRACT. 10. Church plants, when they are small attract control freaks who want to be the BIG FISH in a SMALL POND. i.e., They want to be on the church board, in control, a decision maker, and pull the pastor’s strings. Guess what? The pond got bigger. Nobody can ever make you feel crummy without your permission. Ingratitude and criticism are going to come; they are part of the price of being in the same universe with negative people. Jesus Himself, after healing ten lepers, was thanked by only one of them (Luke 17:11-19). Instead of being surprised by ingratitude, we should learn to expect it and deal with it. If you move with God, you WILL be criticized. The only sure way to fend off criticism is to DO NOTHING and BE NOTHING. Those who do things and succeed at them eventually stir up criticism. When people are critical of you it means they are JEALOUS or UNINFORMED. But they have NO IMPACT on the TRUTH. If what you say and do is OF GOD, it will prevail. 2. Fourteen first-time visiting families! 3. Received a SPECIAL OFFERING for our new church sign – glad to say the money came in to cover the cost. We will post the exact amount received in next weeks bulletin. 4. Last Sunday was very hard physically – I was running on empty. But I had my voice back today and it felt good to preach with strength in my body. 5. This week is going to be a very busy week for me. But I’m loving it and I’m ready to grab the bull by the horns. 6. The last four weeks have been very busy too. We’ve had four deaths, and four funerals in four straight weeks. Our prayers have been with these families. 7. Concluded the series from Philippians today. An eleven-part series. It has been one of the more fruitful message series I have done in a long while. 8. I love what I do. 9. Have you noticed how GOOD our CAMPUS GROUNDS look? 10. We have lot of hurting people in our church family right now. But I’m glad that we (i.e., all of us) can be there for them. 11. I told my wife I was going to get a TATTOO. She said no. 12. I love spring time and early summer. It’s great to get outdoors. 13. I’m going to take a hard run tomorrow morning. Trying to get rid of this “MUFFIN TOP” – if you know what mean. 14. The amount of new people in our church right now is simply INSANE. The wonderful thing about people is God is keeps making more of them. 15. Keep checking in this week – now that I’m recovered from my flu I’m ready to start writing again. And man, I am going to burn up the keyboard this week! After 13 days my flu has finally broken. I feel much better today (Saturday) and I AM READY FOR SUNDAY! 1. This Sunday's Message is: GOD'S PROMISE TO MEET YOUR NEEDS. Based upon Philippians 4:14-20. It is the last message in our verse-by-verse study through the book of Philippians. 2. We will be receiving a special offering for our new church sign. 3. Pray for me. I'm still sick - it has been twelve days and very little improvement. Remember our staff when you pray - they are sick too.